Keeping your central heating system in good working order enhances comfort and efficiency at work or home. To achieve such a feat, you need a fully-fledged boiler and central heating repairs company in your corner. At Eco Efficient, we boast 15 years in the industry, and we have the best remedies for you. We are super-fast when you want your central heating system operating at its best. We don’t worry about the boiler type; combi or condensing since our expertise and skills are unparalleled. We don’t rush to overhaul your system, but we help source quality replacement to boost its efficiency. 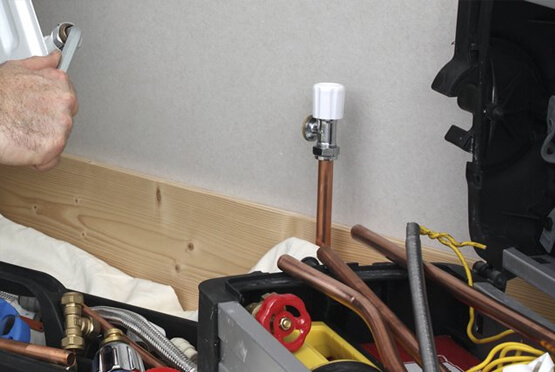 At Eco Efficient Nottingham, we can handle any repairs for all types of heating systems in the market. When you call us, we send the best experts who have a long-standing knowledge in all matters about central heating repairs. Don't worry about the magnitude of the problem since we have the resources, tools, and technology to revert a faulty stem to its full operating capacity. Call us, and we will get to your home or premises in less than 30 minutes. We have a superb coverage for areas such as Bingham, Hucknall, West Bridgford, Beeston, and Carlton. After our technicians get to your home, they have fully loaded truck to handle your repairs. Before we get down to work, we discuss possible options and help you to settle for the best solution according to your needs or budget. We will discuss the procurement or provision of components and parts, and we cannot use substandard materials in the process. We give your system a complete check and ensure that it will keep working for a long time. To prove our point, we offer full warranties for the repairs, and we offer free repairs should the hitches recur after we leave. Our technicians leave your premises tidy, and they will treat your family or staff with respect. Central heating systems can present many problems arising from corrosion, broken component and general wear and tear over time. You don’t have to stress over such problems when you know the best boiler and heating Service Company in Nottingham is just a call away. Our customers are our first priority and we never delay like some of our competitors. The profanely and prowess of our management and technicians combined cannot be found elsewhere. We ensure your repairs are handled while observing the highest standards stipulated in the industry. After we do repairs, we set the controls and provide a clean bill of health. We advise you on how to maintain the system and how to spot looming problems. We don’t leave until you are satisfied with our craftsmanship. Gas-safe registered central heating engineers. Over ten years of hand on central heating experience. No hidden costs or surprise expenses. Check out our outstanding testimonials from satisfied customers and call us as soon as you central heating system needs attention. We will exceed your expectations.